As citizens of Kosovo we sometimes grow up believing that nothing is possible. However, as students of RIT Kosovo, we are taught to believe otherwise. We are taught to believe anything is possible, and that if you work hard, you can reach those big dreams. As Student Government of RIT Kosovo we wanted to show our student body and our community what it takes to make the impossible possible. That is why, during this year’s TEDx event our theme was “I’MPOSSIBLE”. TEDx is a program of local, self-organized events that bring people together to share a TED-like experience. At a TEDx event, TEDTalks video and live speakers combine to spark deep discussion and connection in a small group. These local, self-organized events are branded TEDx, where x stands for independently organized TED event. 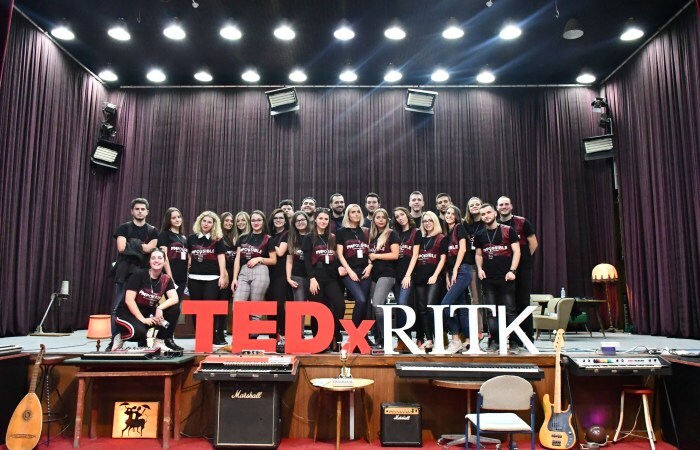 TEDxRITK (formerly TEDxAUK) was formed by a group of young individuals, students of RIT Kosovo, to help spread awareness and allow leaders and thinkers from Kosovo and the region to speak up to our fellow students and present to them ideas put into practice. TEDxRITK is a student-led, collaborative experience that inspires innovative thinking and moving others to purposeful action. This year we had five speakers join us in this incredible experience, coming from different areas of life. A worldwide known tenor, two entrepreneurs, a Mount Everest hiker, and an activist showed our audience what it means to make the impossible seem possible, and how hard work pays off. Watching the audience enjoy these speeches has given my team and I a chance to recognize how important motivational speeches like these are, especially for students. Working with the IPKO Foundation team has given us the opportunity to make our event possible, and be part of a great community of people and organizations who, with their help, are making our country a wonderful and hopeful place for future generations. So, thank you IPKO Foundation for everything you do for us!